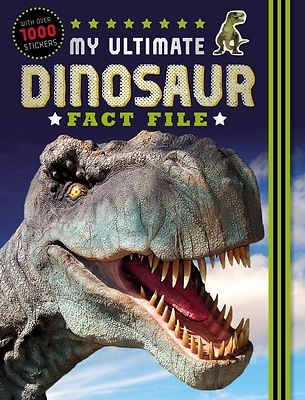 My Ultimate Dinosaur Fact File is packed full of incredible dinosaur facts and stickers. Brimming with cool facts about dinosaurs and fossils, this book showcases bright photographs that will delight children. They will love using the photographic stickers to create a sticker file they can keep forever In addition, the elastic fastening on the cover helps kids to keep their stickers safe.